Build and send custom SMS messages online through Whispir’s secure communications platform. 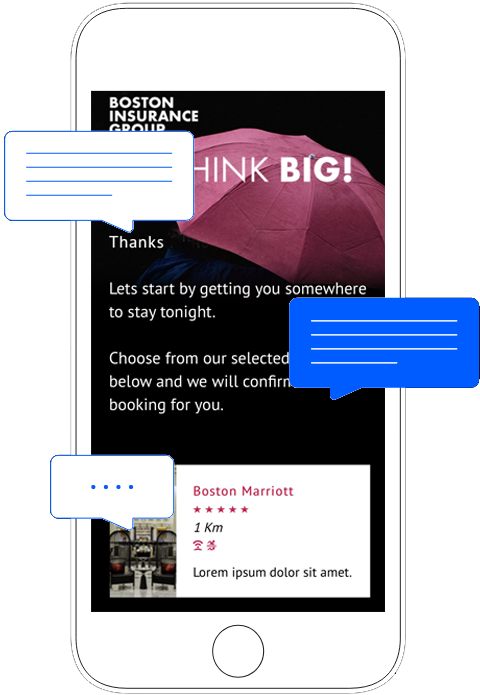 Seamlessly integrate SMS messaging with your entire suite of channels to craft powerful communications across your entire organisation. The power of Whispir lies in its ability to create intricate workflows that involve escalations, cross-channel responses that can be triggered by something a simple an SMS. Build your own custom workflows easily within the platform and seamlessly integrate, voice, email and push notifications with direct SMS. With a 94 percent open rate in Australia, SMS is the proven way to reach your audience quickly and directly. 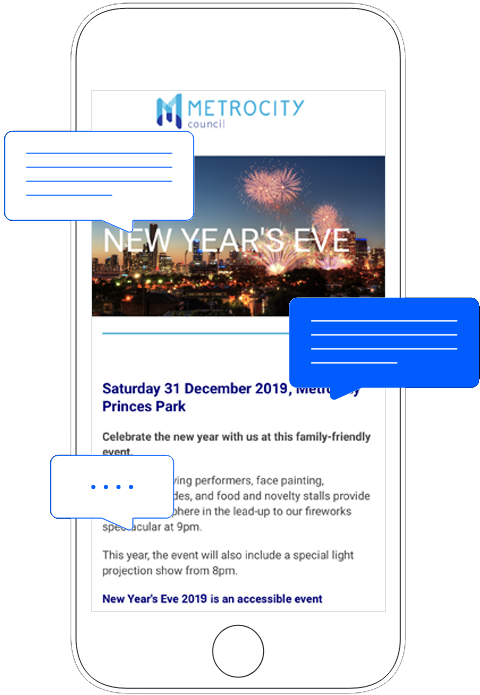 In a world full of digital noise, SMS remains the channel that has stood the test of time and offers a cost-effective, robust method of Instantly connecting with your audience. Our SMS solutions help you maximise your reach, personalise at scale, and coordinate teams and customers in real time. Leverage our Email to SMS and SMS Broadcast or Bulk SMS capabilities to power your business, enabling you to send automated and personalised messages at scale for any use case. Alerts, notifications, invoices and receipts, appointment reminders, surveys, marketing campaigns, and more; the outcomes Whispir SMS can deliver for your business are endless.